Apologies if I'm missing something obvious, I've been through the tutorials and can't see what I'm doing wrong. 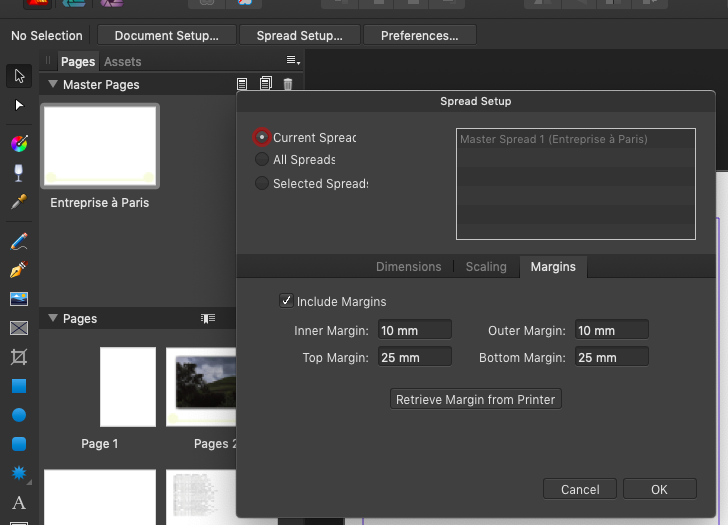 When I start a new document and I set a margin, I can't see how I go back later to vary or delete the margin I initially set. The 'Document Setup' tab on the left has no options to look at margins. It looks like I have to delete the page and start again. Thanks h_d - that didn't seem an intuitive place to look, but I should have.